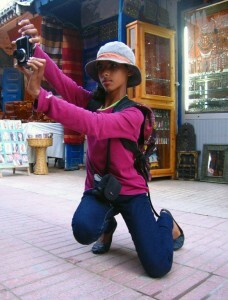 After the first 6 photography lessons we can now really state that FairMail Morocco has actually started. A group of 10 deprived local teenagers is getting free photography lessons three times a week and a digital camera to borrow. On the 24th of November their pictures will be displayed to the world for the first time in a photography exhibit called “My Essaouira”. This photogenic Moroccan fishing village has been photographed by many international photographers. This will the first time that the local youth will show their own perspective on their village which will give an unique insight into their lives and what the different places in their village mean to them. Two weeks after the exhibit the teenagers will receive an upfront payment of 500 dirham per pictures (about 50 euro) for their 20 best pictures which they can start to invest in their education. Hopefully these pictures will make it to FairMail postcards quickly so they can start to earn more. If this actually happens is very important for the future of FairMail Morocco in 2013. Only with a substantial growth of the sales will it be possible to employ the new teenagers on the long run. Without harming the earnings of the current teenagers in Peru and India, who after envisioning their dreams, are now working hard on making them reality. Because of this uncertainty the 10 teenagers (5 boys and 5 girls) received a temporary contract for 2 months. 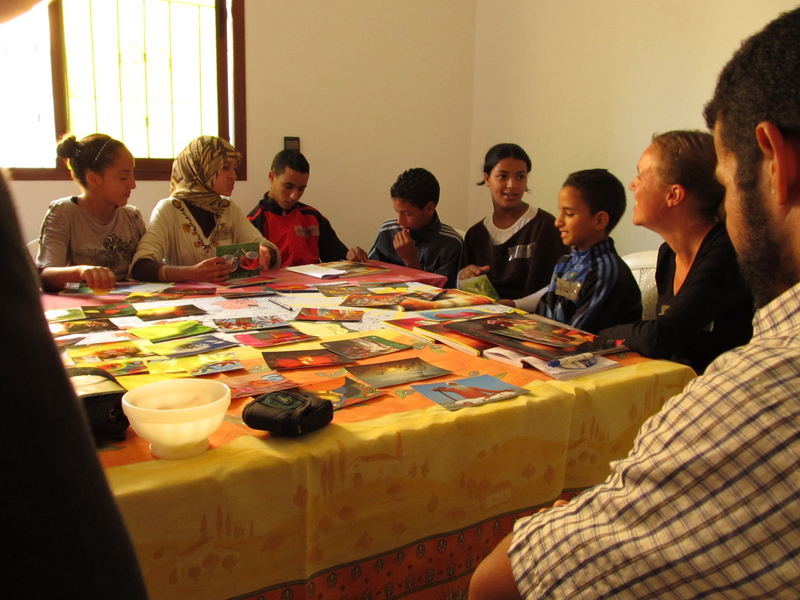 In the beginning of 2013 we will evaluate if FairMail’s sales has increased sufficiently to set up FairMail in Morocco definitely. Au Coeur de l’Amitie, an organization that works with disadvantaged children by feeding them and providing an area for and help with schooling. Each child gets a meal at lunchtime and something to eat after school before they go home. They serve more than 30,000 hot meals per year to about 50 children. They have very kindly given us a classroom to teach in on Saturdays. We have four children from here – Hajiba (14, female), Badr (13, male), Chaima (14, female) and Fatimzara (14, female). Founded in 1995, BAYTI, meaning my “home”, works with children in difficult situations – street kids, victims of economic or sexual exploitation, victims of violence and children from destitute backgrounds. The programme is for all children and families in difficulty needing protection, assistance, counseling and orientation. Our kids from Bayti are Ibtissam (14, female), Siham (15, female) and Mohammed (16, male). Unfortunately Mohammed stopped attending classes and is currently not participating any more. Dar At Talib, meaning ‘House of the Student’, is a foundation that has been established to help local children continue with their studies, providing lodging, food, monitoring and tutoring. From Dar Attalib we have Jaoud (12, male), Abdallah (16, male) and Mounaim (15, male).